Today was one of those days in my university life where I felt really sleepy and was starving at the same time. To satisfy both, I decided to hop onto the 144 bus and sleep all the way from SFU to Metrotown, and fortunately, the bus took exactly one hour to get there which gave me ample time to sleep. 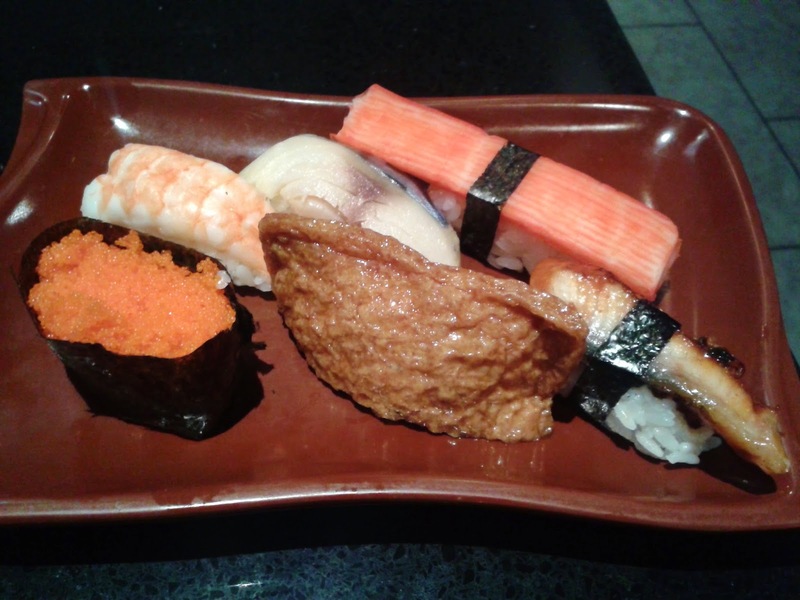 Considering my state, I decided to go have all-you-can-eat at Kawawa Japanese Restaurant, located inside Metrotown. Since Sui Sha Ya, their main source of competition, closed down recently, Kawawa was quite busy even when I walked in just before 5 p.m. Out of all the restaurants in my knowledge, Kawawa offers the least expensive Japanese all-you-can-eat dinner ($21.95) in all of Greater Vancouver. Kawawa is Chinese-run and this is evident from what the servers speak and the English-Chinese bilingual menu. They have an extensive variety of items in their à la carte menu, though the number of choices on the all-you-can-eat dinner menu are modest compared to those at other all-you-can-eat venues. I was seated in an aisle less frequented by the servers, but they were quick to respond when I held my order sheet above my head. The service was quite friendly and attentive, and they asked me how my food was before I even started eating! 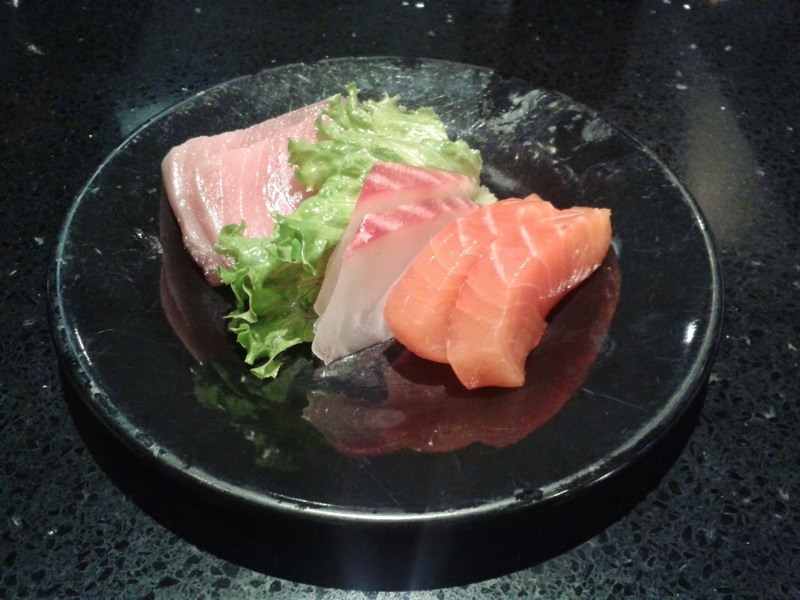 I started with the Salmon Sashimi, which was cut cleanly, had a decent amount of flavour to it and tasted quite fresh. It was excellent if compared to other all-you-can-eat venues. The Tai Sashimi had a soft, smooth texture and was cut thinly, maybe a bit too thinly, but this made it easy to chew. I also liked how it didn't taste like mashed potatoes (this seems to be a common issue). At this point, I sent a message to a group chat on Whatsapp saying that the sashimi at Kawawa was quite decent. I guess I spoke a little too soon, as I found out that the Tuna Sashimi was still half frozen. It was so cold that I couldn't taste anything and it was quite floppy (I don't know why and maybe I don't want to know why). Next came a platter containing all the rolls I ordered. I suppose it is a challenge to arrange 5 different kinds of rolls on the same plate so that they look nice together. I suppose it is also a challenge to serve me the correct number of pieces. I received one more piece of the Chicken Teriyaki Roll than stated on the menu, which I wouldn't have minded at all if it wasn't all-you-can-eat or if it wasn't my least favourite roll. The Special House Roll consisted of salmon, tuna, crab, and a very small amount of avocado and cucumber. I wished that at least one of the ingredients would be rich in flavour, so that the roll would have a central focus or highlight. I'll give it to them that the sushi rice here was soft and not too densely packed. The BC Roll was more like cooked salmon skin than grilled salmon skin. Since there was a lot of smooth skin, the unagi sauce made this roll somewhat resemble an unagi roll. 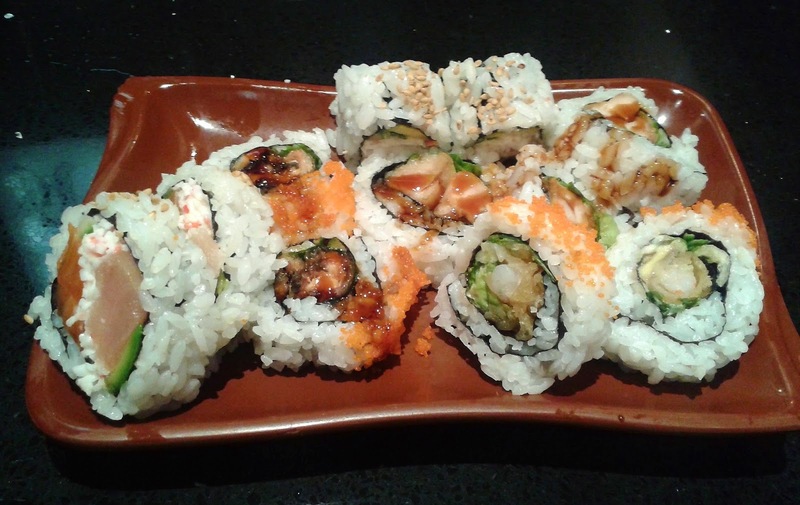 The mayonnaise in the California Roll seemed slightly powdery and overly sweet to me. Unfortunately, it almost fell apart when I tried to pick it up. Next, I tried the Chicken Teriyaki Roll, which was served with bland and hard-to-chew chicken, and after eating all 3 pieces, I began to experience a bit of a toothache. But since so many of my Facebook friends insisted that I blog about Kawawa, I mustered up the courage to continue eating. The Dynamite Roll consisted of mostly rice and relatively little prawn. It tasted better than a T&T Dynamite Roll, though the batter could be softer in some places. 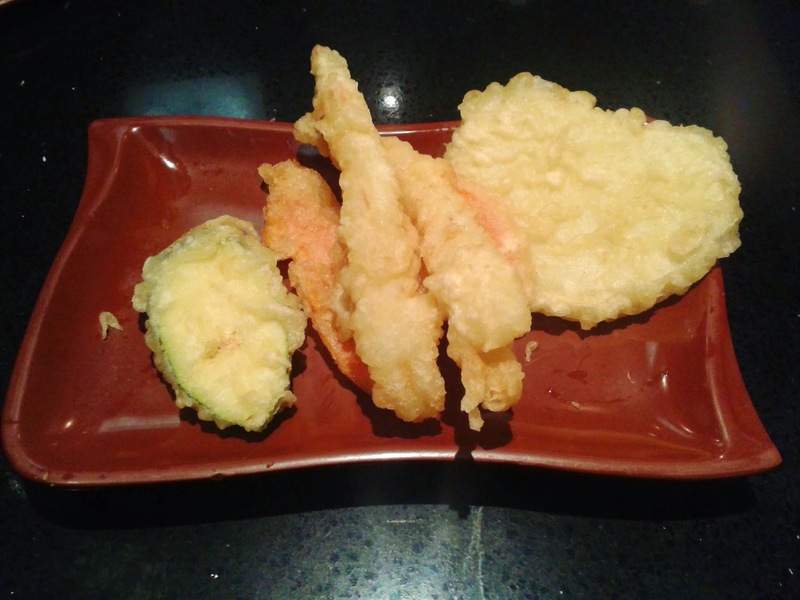 The Prawn Tempura each came with a decent, meaty piece of prawn. The prawn was soft without much of a snap. The main hindrance here was the tempura batter. On one side, the batter was rock-hard while on the other side, the batter was soft and gummy. Talk about effective use of constrast! The Vegetable Tempura came with one piece of zucchini, one piece of yam and two pieces of what I think was carrot. The batter on the zucchini was entirely gummy, but they managed to preserve the moisture and juiciness of the zucchini. The yam was much denser than it should have been, and the carrot was slightly burnt on one side and cut so thin that I could barely tell what it was. The Garlic Butter Mussel was soft and easy to chew, but could benefit from having a richer flavour. It was served at a comfortable temperature. I wish there was a bit less oil and more garlic butter. With the Hotategai Motoyaki and Oyster Motoyaki, things started to get ugly. What kind of motoyaki has that kind of colour?! Oh well, looks aren't everything. 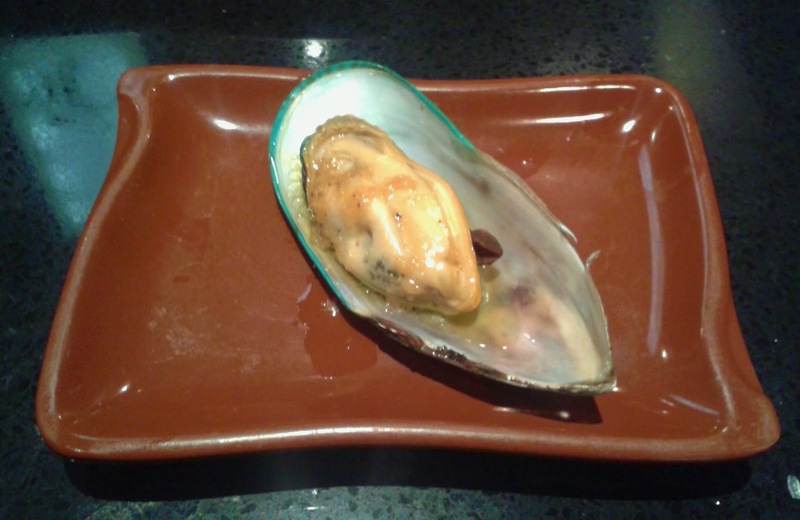 I tried a bit of the Oyster Motoyaki, and managed to dig out the oyster, which, although small, was okay. Unfortunately, the mayonnaise custard tasted and smelled like a horrific vinegar accident. Maybe they mixed up their vinegar and mayonnaise containers - I'll never know. Just when I thought things couldn't get any worse, they did. The Hotategai Motoyaki was twice as disgusting as the Oyster Motoyaki. This time, not only did the custard taste vinegary, it was thick and had a toothpaste-like consistency. 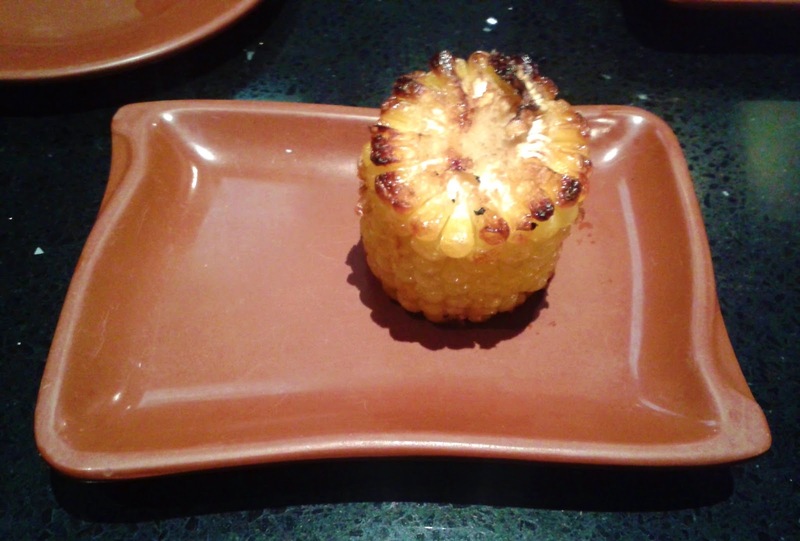 To make things even worse, the entire bottom of the motoyaki was burnt, which left the scallop dried and shriveled up. The oil inside appeared black from being burnt and ... yeah, let's not think about this anymore and hope this was all just an accident. 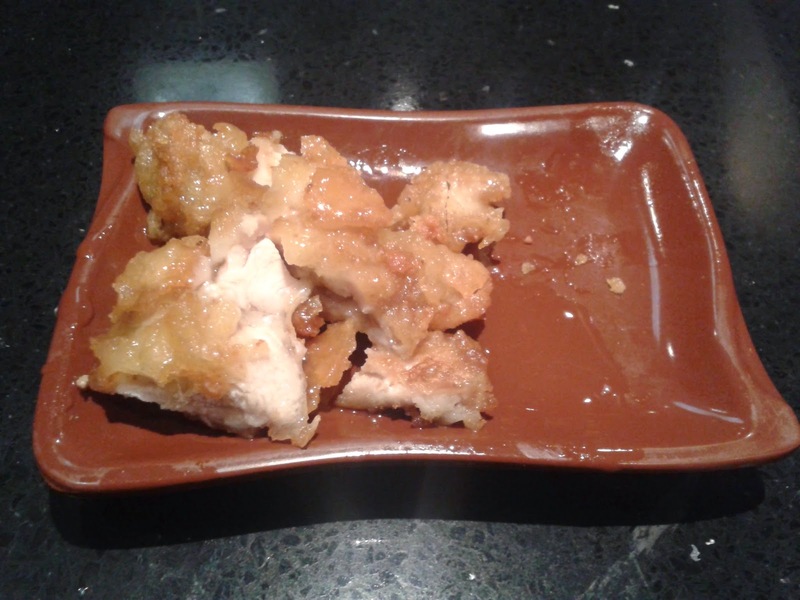 The Lemon Chicken was quite oily and a small part of it slid off the plate and onto my table as it was served to me. The Slip 'n Slide Lemon Chicken tasted really wrong. The chicken itself was bland while the lemon sauce was sour. Combine bland and sour and you get "chicken gone bad." 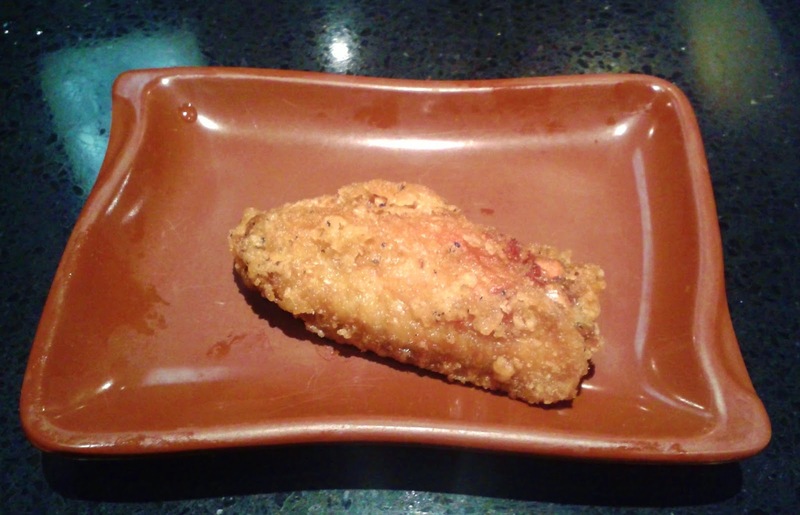 The Chicken Karaage had batter that had the hardness of a gingerbread cookie. It made a very prolonged crunching sound as I bit into it. After a lot of chewing, I finally made it through to the chicken, which was somehow still not completely cooked despite the overdone exterior. The Ika Karaage tasted like KFC gone wrong. It was extremely hard to chew, requiring me to clench my teeth hard and tug with full strength. If a healthy adolescent has this much trouble chewing it, I don't know who they intended to serve this to. 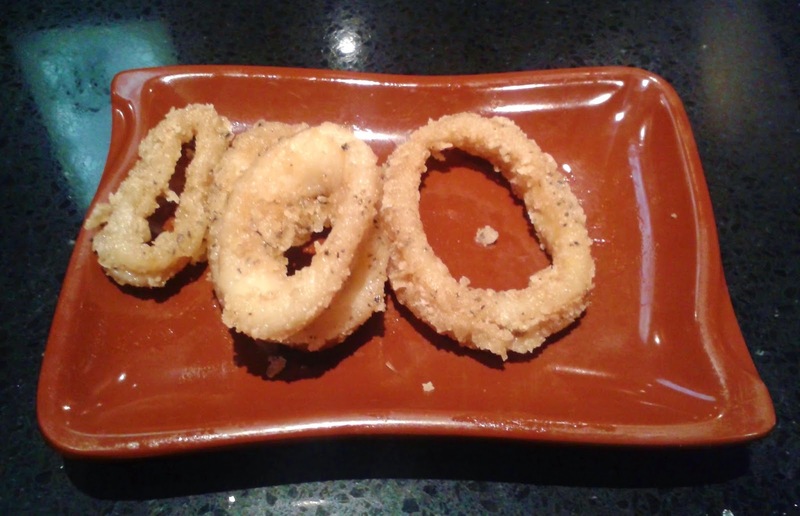 The herbs used gave it a one-dimensional salty flavour and personally, I would have been more satisfied if they had just served me plain squid. Finally, things looked up again as the nigiri arrived. The Ebi Nigiri had a decent texture, though it would benefit from a richer taste and slightly less rice underneath. The Saba Nigiri had the right texture but was about twice as salty as it should have been. 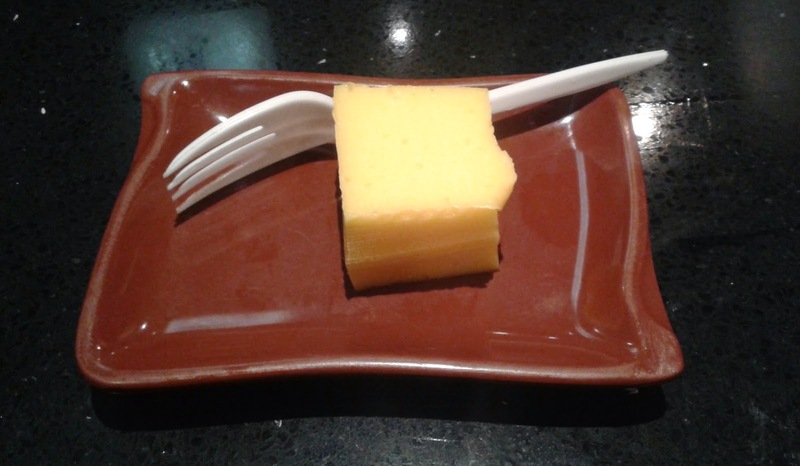 The Kanikama Nigiri tasted like a dried up crab stick which they tried to remedy by injecting crab stock into it. At least they tried. The Masago Nigiri had a nice slightly salty taste to it but could have more of a pop. 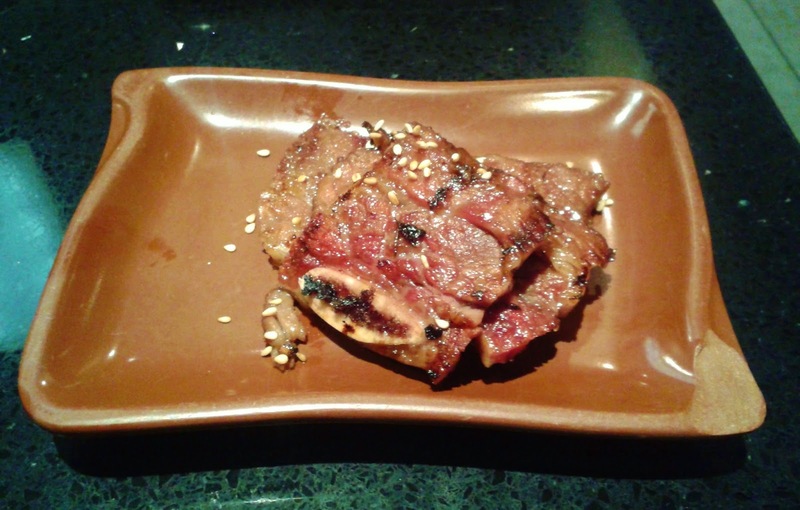 Unexpectedly, the vinegar on the rice overpowered the grilled eel on the Unagi Nigiri. How is this even possible?! The Short Ribs was prepared somewhere between rare and medium rare which allowed for the meat to be soft and tender. The Korean beef BBQ sauce worked nicely with the beef and this dish was decent if you were fine with rare beef. 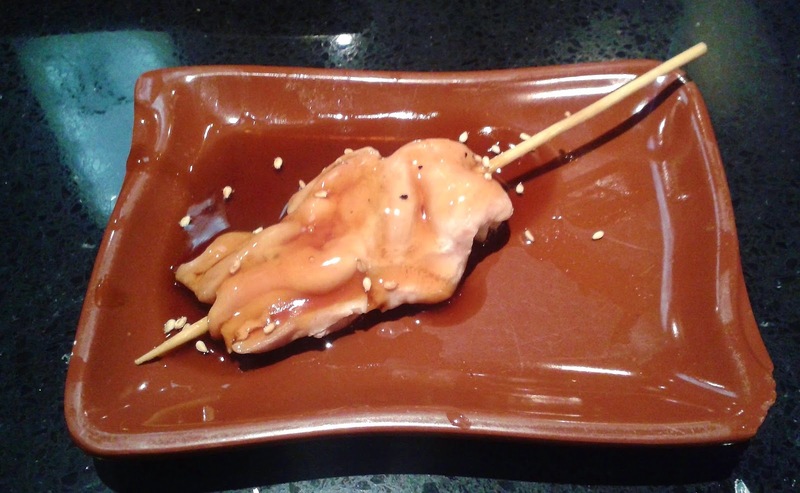 The Yakitori consisted of tender chicken on the outside with blander white meat on the inside. This needed more preparation time to allow the sauce to seep into the center. Uh oh, what in the world happened here?! This looked like a bubble wrap nightmare as each of the corn niblets appeared to be "damaged." Each bite left me with a few niblets stuck between my teeth, which was particularly challenging to get unstuck because the corn was so hard. 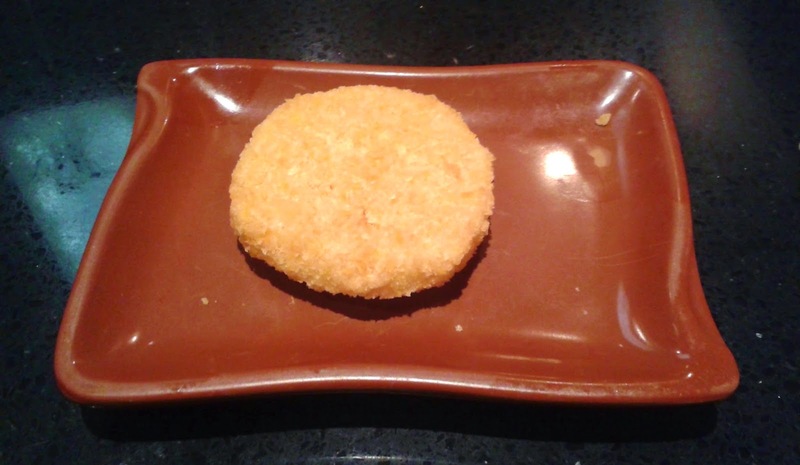 The Creamy Corn Croquette had a sweet, cake-like interior with ample bits of corn. While the interior was decent, the exterior was as hard to chew as the Ika Karaage. My sense of logic is failing me. How do they make the crunchy shell that hard to chew?! Did they accidentally coat the whole thing with squid?! 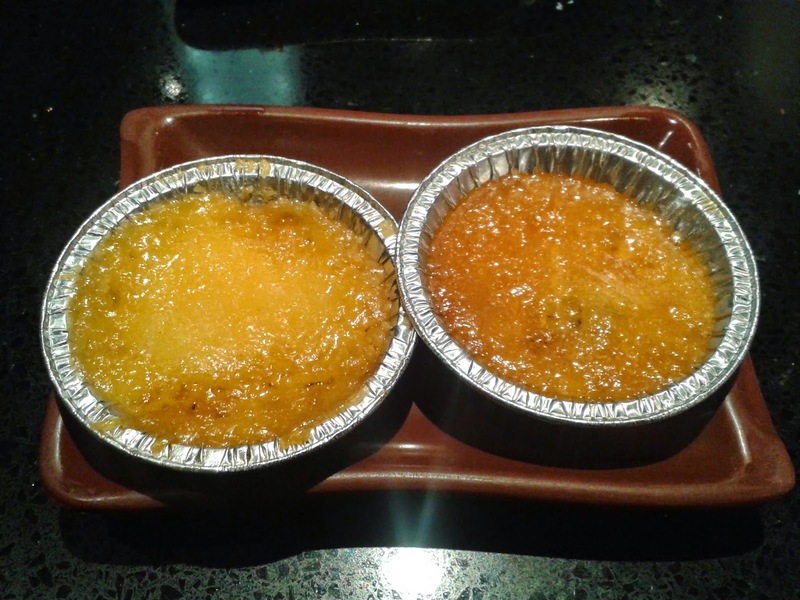 And finally, some Mango Pudding to sweeten things up a bit at the end. It tasted more like pineapple jelly than mango pudding, but at least it helped me get rid of some of the corn niblets still stuck in my teeth. Some of the sashimi was decent, while the nigiri and the rolls were acceptable considering the fact that this was an all-you-can-eat. If you stick with those categories, then Kawawa isn't as bad as some other online reviews suggest. However, the deep fried and robata sections are "must stay aways". Many grave sins against Japanese food were committed in those categories.